★100% Brand New and High Quality with BOX ～ Package Includes: 1X Razor,1X Strop,1X Stand,1X Bowl,1X Brush,1X Soap,1X Towel. ★Gold Dollar 300 Straight Razor ～ Plastic handle and stainless steel blade – Lengh of blade:7.5cm ,Net Weight: 56.1g; For safety reason the razor is not sharp enough.You need to sharpen it before use. ★Pure Badger Hairs Wooden Handle ～ Soft and elegant shape.Total height:~60mm/~2.36 inch,Knot diameter:~18mm/~0.708 inch. Good absorbing: Producing the richest lather possible to give you years of use and work well. 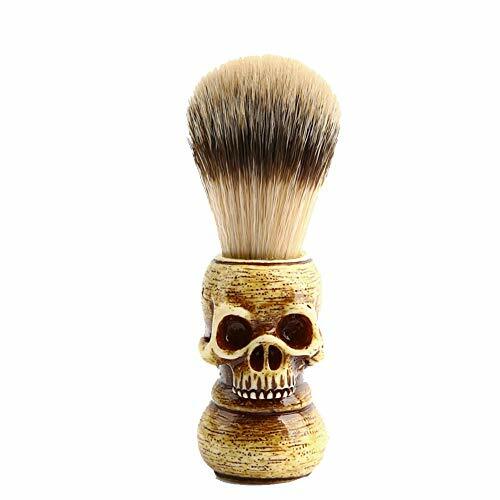 ★Shaving Stand Holder ～ Size:86mm(H) x 60mm(w) x 76mm (L); Shaving Brush stands prolong the life of your brush and allow the Bristles to drip dry Naturally. 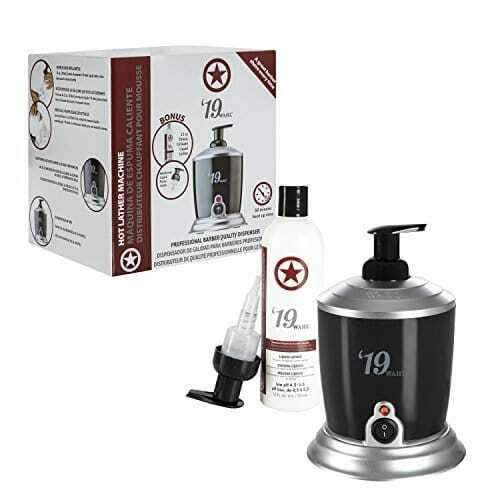 ★Ideal Gift ～ For salons, home and professional use. Perfect gift for yourself , your father, husband, boyfriend or any wet shavers. 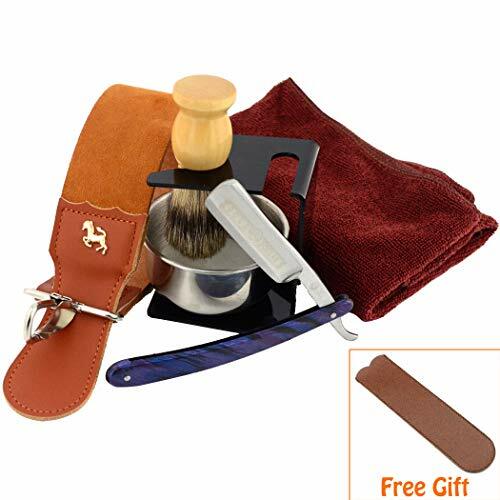 * Men’s Traditional Straight Edge Shaving Razor + Free Blades & Pu Leather Pouch * These Razors are HAND MADE for Perfect Balance and Best Performance. 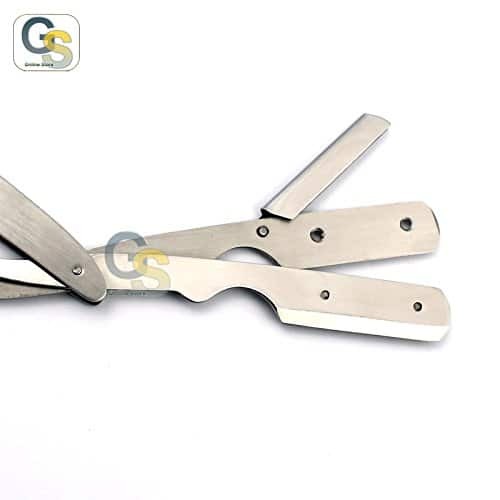 * Metal Razor construction using top quality materials with Plastic Handle. Slide-out Light Weight Black Plastic Handle Metal Blade Razor* Designed to fit firmly in hand for a smoother shave and reduce razor burns and nicks * Convenience of using single edge blades. Break the double edge blade from middle along blade axis to make 2 single edge blades. * Long razor life due to high quality materials and construction * These Brand New Razor are made of Stainless Steel. * GREENER EDGE Brand stamp laser marked on Razor head. FREE ACCESSORIES: * Free 10 Double Edge 7’O Clock Blades * PU Leather pouch. * Free Shipping (US Only) If you are not satisfied with the items for any reason you can have a full refund within 30 days of purchase. So buy with confidence. 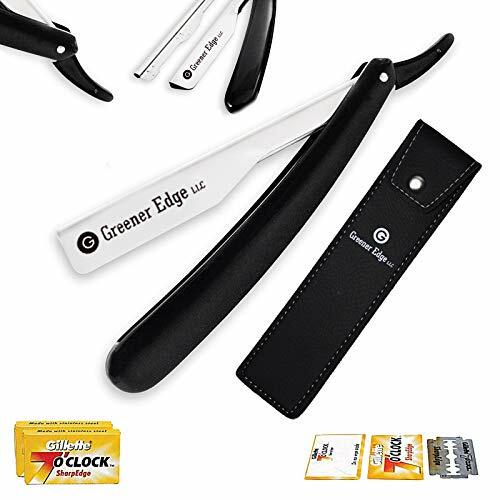 The Greener Edge straight edge razor delivers salon quality shaves each and every time. Additional premium stainless steel blades for repeat quality shaves. Perfect for travel and grooming on-the-go. Traditional Wet shave gives you a very clean shave; it is pure and a glorious manly ritual that every man should take part in. Shaving with this razor will likely eliminate the typical skin irritation and give your face a clean healthy look. This shaving razor design allows for a clean, close shave with little to no irritation. No Nicks – No Cuts – No Razor Burns. HAND MADE Razors for Perfect Balance and Best Performance. 1 X Swinglock Razor. Takes almost all double or single edge blades. Free blades provided for convenience. VINTAGE: OLD IS GOLD! YOU DON’T NEED THE “LATEST AND GREATEST” 3-4-5 BLADE, SUPER EXPENSIVE, ROLLING BALL RAZOR OUT IN THE MARKET THESE DAYS, TO GET A FINE QUALITY SHAVE. OUR GREAT GRANDFATHERS WERE ABLE TO REMAIN HANDSOME AND SMOOTH, USING THIS CLASSIC STRAIGHT EDGE RAZOR WHICH IS A TIMELESS MASTERPIECE FOR MEN’S SHAVING. ERGONOMIC: DESIGNED WITH COMFORT AND STABILITY IN MIND, THE PROFESSIONAL STRAIGHT EDGE RAZOR PERFORMS WELL AND PROVIDES THE RIGHT HOLDING ANGLE TO AVOID DISCOMFORT. WHEN OPENED, YOUR RING FINGER RESTS ON THE BACK HANDLE LOOP, INDEX AND MIDDLE FINGERS ON TOP, AND YOUR THUMB NEAR THE BLADE COMPARTMENT. OUR RAZORS ARE MADE FROM FINE QUALITY STAINLESS STEEL, GUARANTEED TO NEVER RUST OR TARNISH WITH USE. BUILT WITH AN EASY-TO-OPEN BLADE GUARD, YOU CAN EXCHANGE EACH BLADE SAFELY AND EFFORTLESSLY. 200+ SHAVES: INCLUDED IS A BOX OF 100 SINGLE EDGE BLADES WHICH ARE INDIVIDUALLY WRAPPED FOR SAFETY AND HYGIENIC PURPOSES. EACH BLADE CAN BE USED FOR 2-3 SHAVES, MAKING THIS VALUE PACK A GREAT BARGAIN! CLASSIC SHAVE – GIVES YOU ACCESS TO THE FINEST POSSIBLE SHAVE. THIS IS THE INSTRUMENT YOU NEED TO DETAIL-TRIM HAIR AND FACIAL HAIR. THE WHEEL DIDN’T NEED TO BE REINVENTED, SOMEONE JUST NEEDED TO REFINE THE QUALITY. Always get a crisp, clean shaving line on the back of your neck without any help thanks to the versatile Nekmate Neckline Shaving Template. Going to the barber every time you need your neck line cleaned up can be both expensive and time consuming. And asking your girlfriend, wife, or mom to help you often comes with its own challenges. That’s why we created the Nekmate Neckline Shaving Template, a flexible silicone band that slides over your face and neck to let you get the perfect shaving line with hands-free, easy-to-manage support. You simply slip the shaving guide over your head, create the ideal line along the back of the neck, and use a razor, trimmer, scissors, or electric shaver to clean up your hair and look great in just minutes. Quick, easy, and completely hands free, it’s the best choice for keeping your hairline looking great every day. Keep your neckline clean and well-kept with a DIY hands-free neckline shaving template from Nekmate by clicking ‘Add to Cart’ above now. 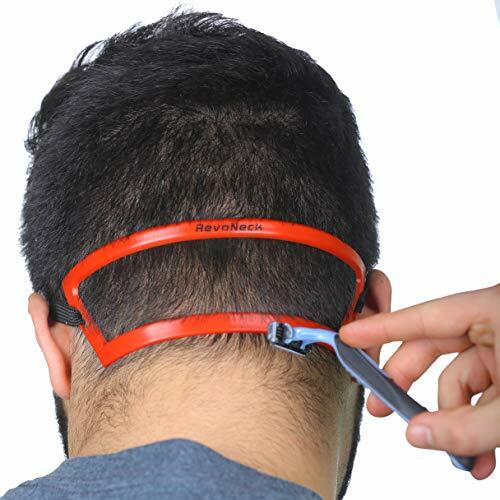 Trim and Shave an Even Line – Designed to help you keep your haircut fresh and clean between trips to the barber, this neck hair template guarantees a close, even shave or trim around the nape of your neck thanks to a linear design. 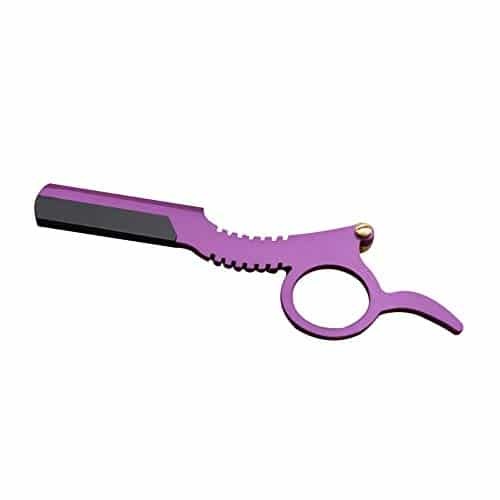 Non-Slip, Repositionable Band – The premium-grade silicone adheres tightly to the skin and makes our shaving template easier to use on high or low necklines, allowing you to adjust it over the front of your chin or at an angle across the nose. Hands-Free DIY Convenience – Along with staying in place as you tilt or more your head to adjust to the razor, shaver, or scissors, it doesn’t need any extra hands to hold it up, so you can clean up your neck line alone in under 1 minute. 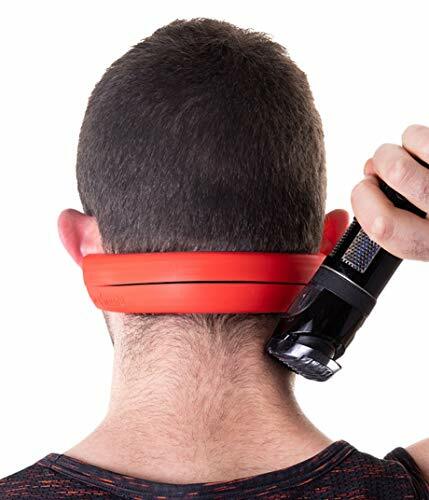 Long, Thick, Flexible Silicone – Crafted with a highly-flexible, skin-safe, grade-A silicone, our 8.5″ long hair trimmer guide is 0.4″ thick to ensure razors don’t slip under the template and mess up your line or damage the band for long-term use. Portable and Easy to Clean – Our neck hairline template can easily fit in your bathroom drawers or a toiletry bag to make it easier to refresh your haircut at home or when you’re traveling for vacation or business. Ergonomics handle design makes it convenient to hold. 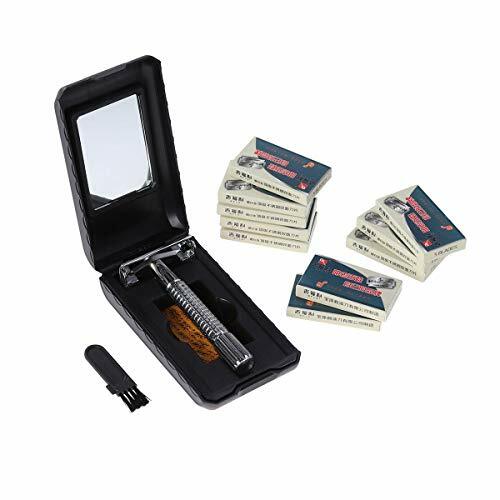 Can be used to shave various kinds of hairs, such as face hairs, eyebrows and hairs. Stainless steel material, strong and practical to use. 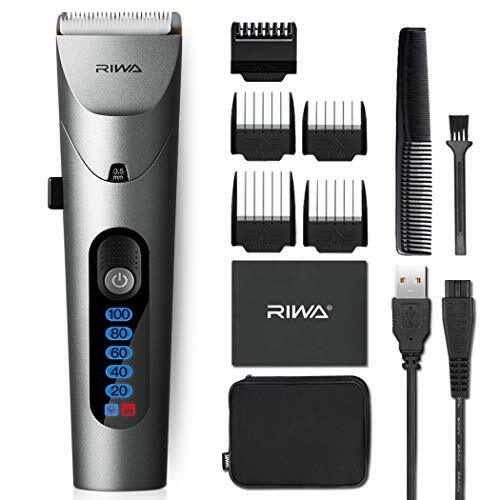 RIWA Ri-003 hair cliper is a professional hair cuting kit for pros and home users. Precise length control from .5mm to 2.0mm with 4 additional guide combs guarantees precision haircut. IPX7 fully waterproof, detachable baldes and LCD screen provide you more convenience in daily using. What’s more, our exclusive Mutecut technology can effectively mitigates motor vibration and cutting noise, so your babies won’t be scared. 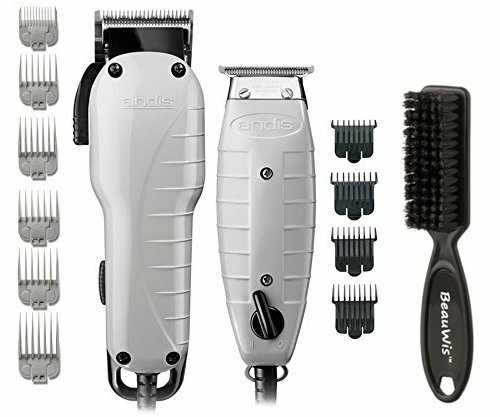 Equipped with a powerful copper-axis motor runs up to 10,000RPM, guarantees a smooth and high efficient hair cutting. Ceramic & titanium blades are safe for skin and will stay sharp longer than normal blade to endure longer service life. It is easy to adjust different lengths precisely from .5mm to 2mm with its One-Hand adjustable controler when styling. Digital LCD display indicates real-time battery capacity, in case of the machine power off when the work is half done. Equipped with 2000mAh rechargeable lithium-ion batteries to cover 4-hour runtime, fully waterproof for easy cleaning.